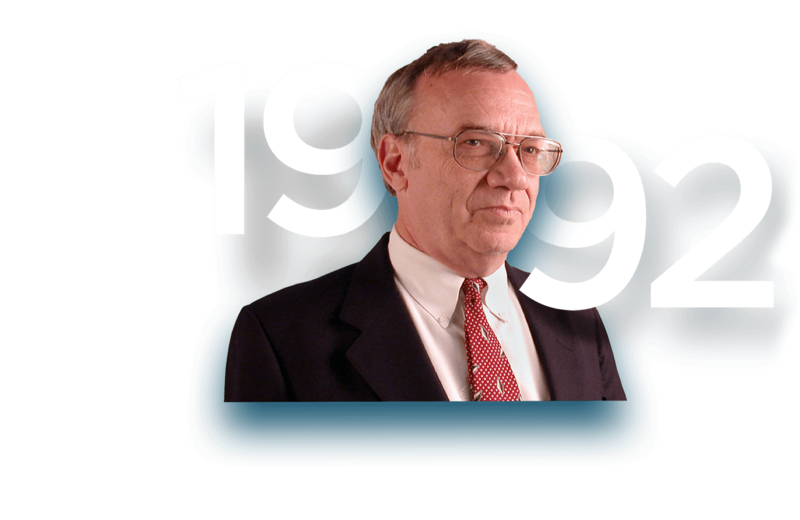 Curious about our story? 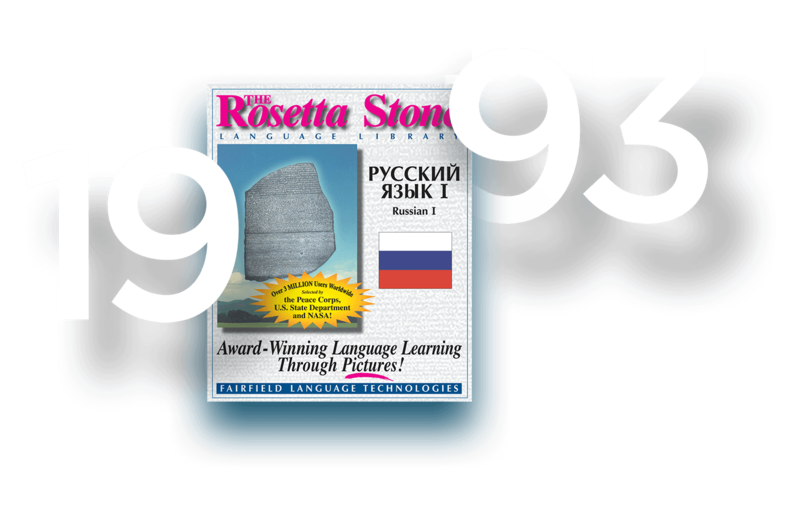 Here’s the last 25 years of Rosetta Stone. 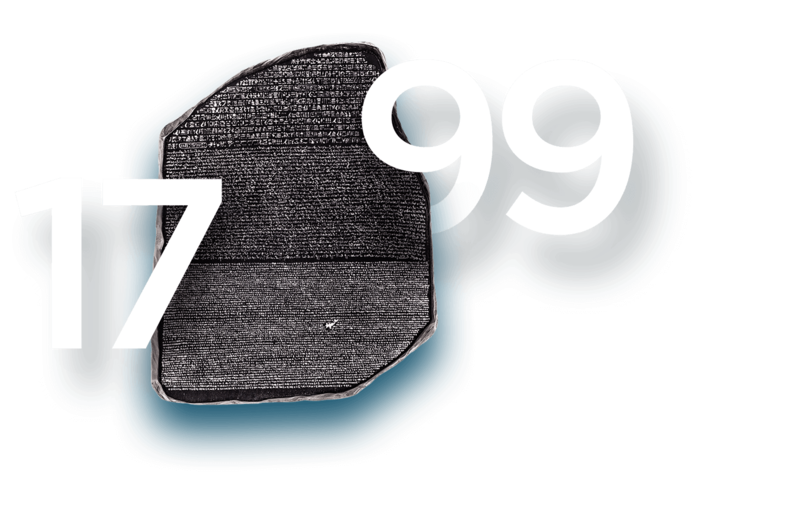 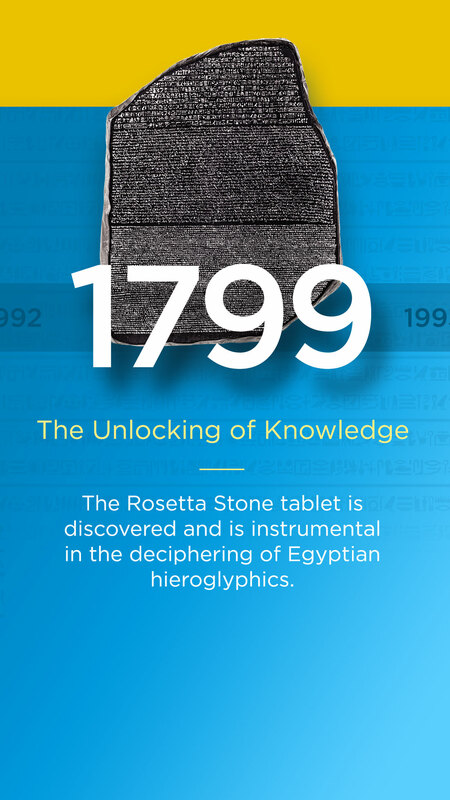 The Rosetta Stone tablet is discovered and is instrumental in the deciphering of Egyptian hieroglyphics. 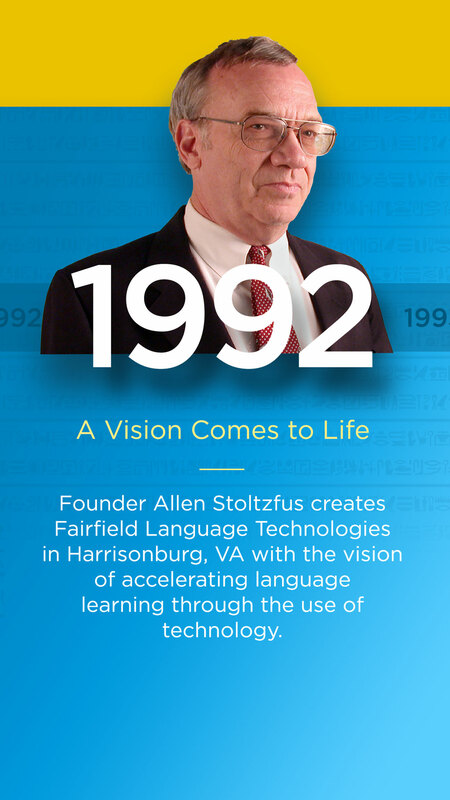 Founder Allen Stoltzfus creates Fairfield Language Technologies in Harrisonburg, VA with the vision of accelerating language learning through the use of technology. 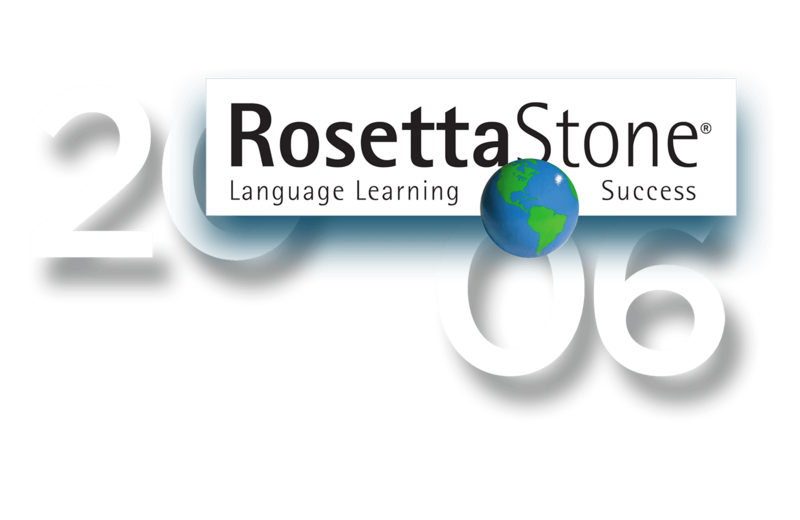 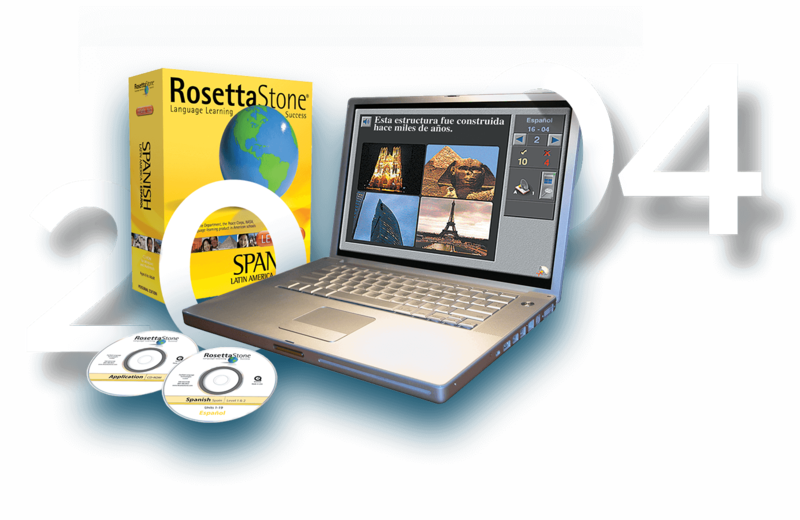 Rosetta Stone language-learning software is initially sold into schools and later sold directly to consumers. 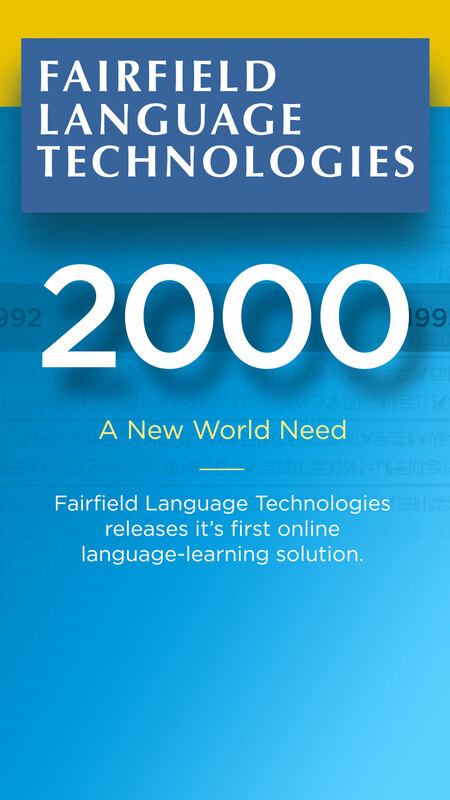 Fairfield Language Technologies releases its first online language-learning solution. 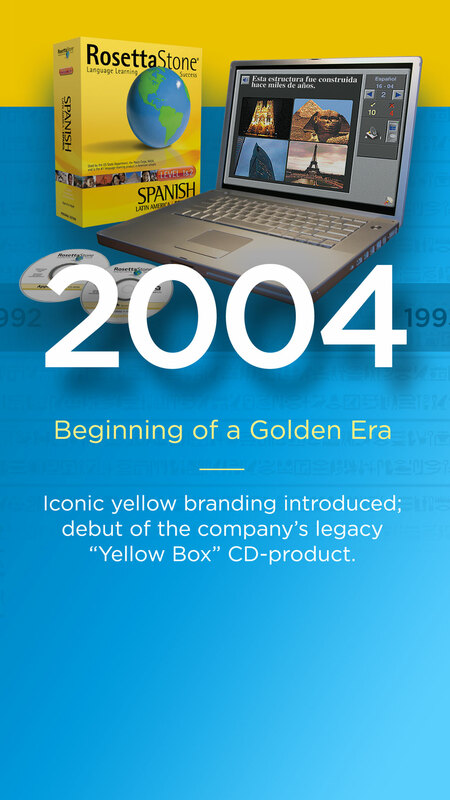 Iconic yellow branding introduced; debut of the company’s legacy “Yellow Box” CD-product. 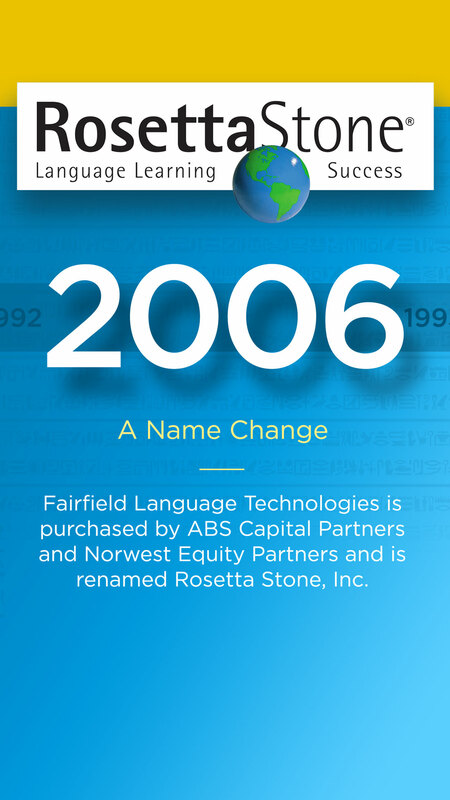 Fairfield Language Technologies is purchased by ABS Capital Partners and Norwest Equity Partners and is renamed Rosetta Stone, Inc.
Rosetta Stone introduces the most advanced speech recognition technology to date. 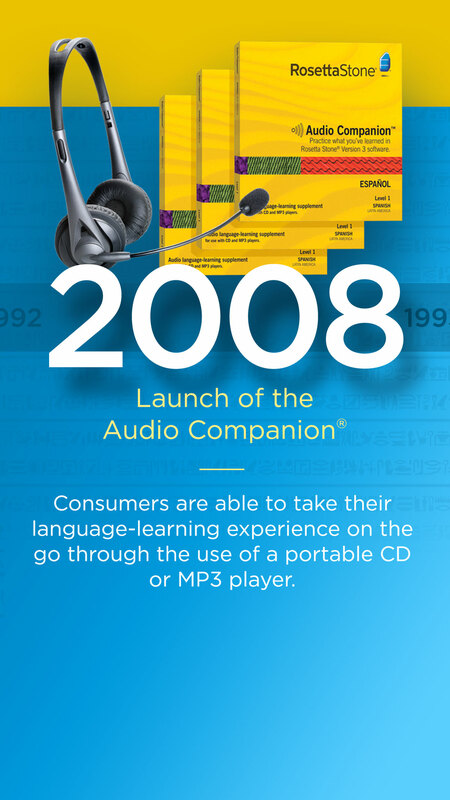 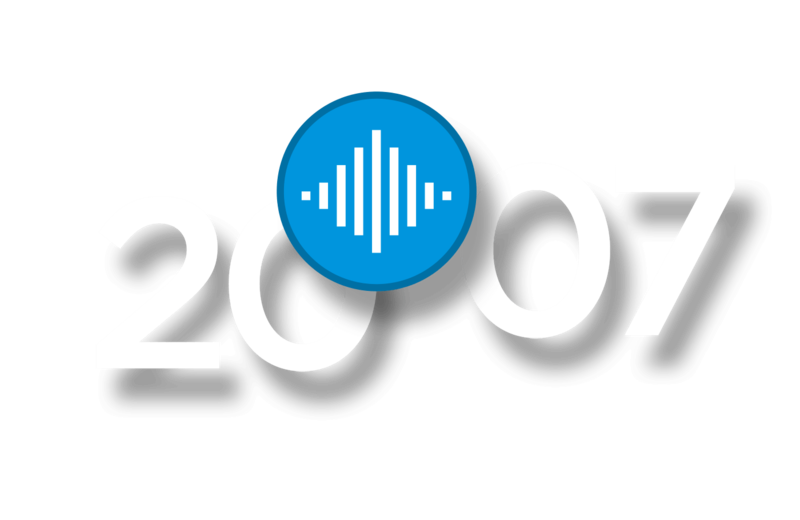 Consumers are able to take their language-learning experience on the go through the use of a portable CD or MP3 player. 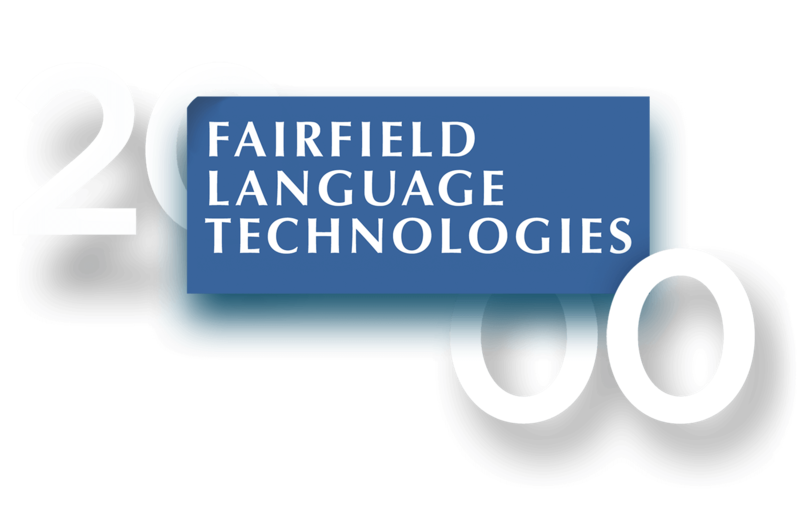 New solutions for learners in classrooms, businesses and homeschool students are introduced, allowing for an integration of interactive computer software and built-in management tools. 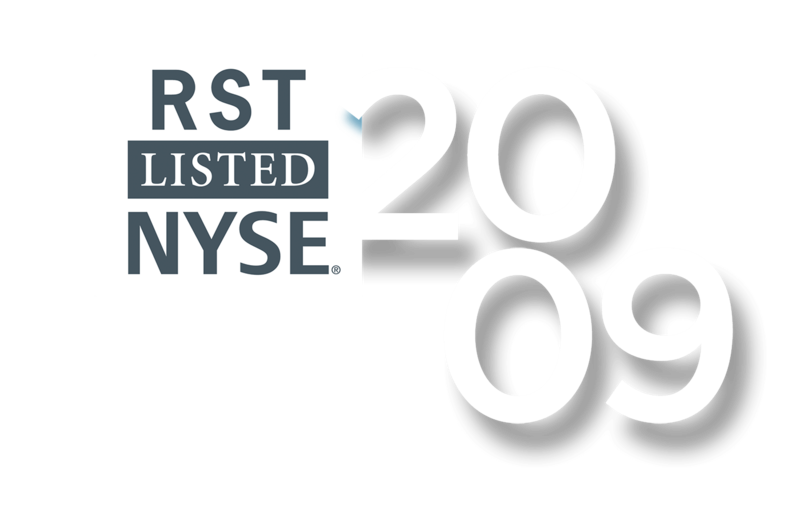 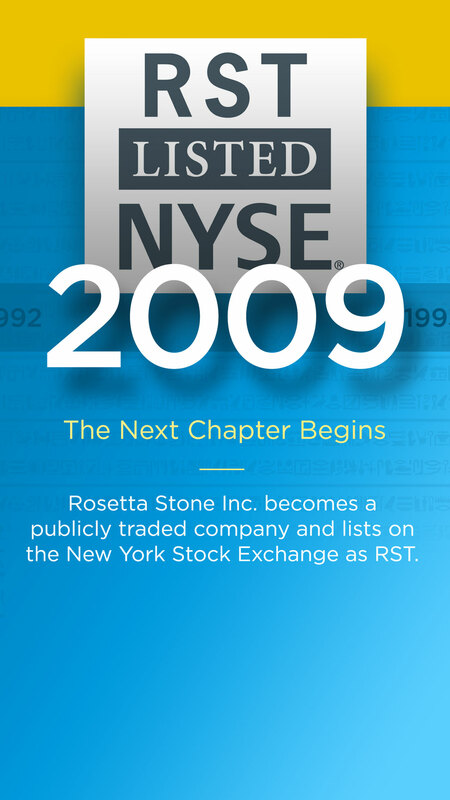 Rosetta Stone Inc. becomes a publicly traded company and lists on the New York Stock Exchange as RST. 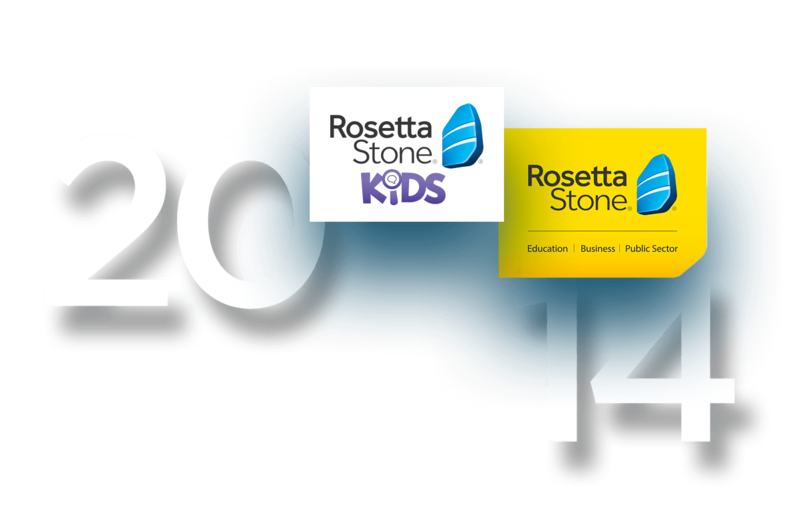 Recognizing the needs of educators and businesses worldwide, a new Enterprise and Education division is formed.  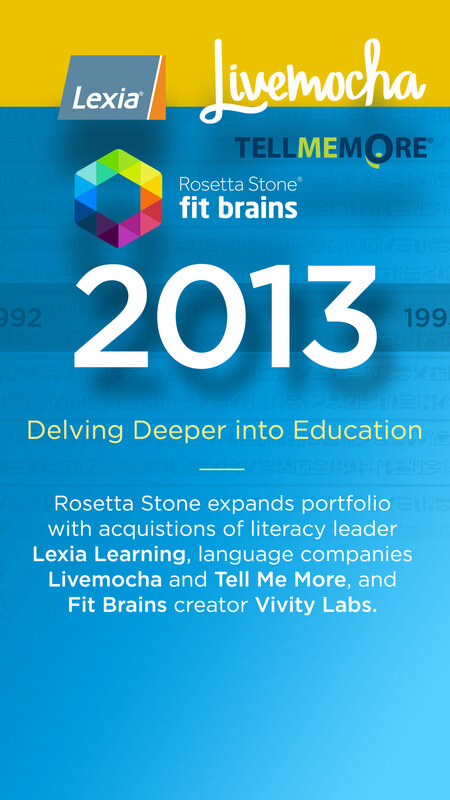 Rosetta Stone expands portfolio with acquistions of literacy leader Lexia Learning, language companies Livemocha and Tell Me More, and Fit Brains creator Vivity Labs. 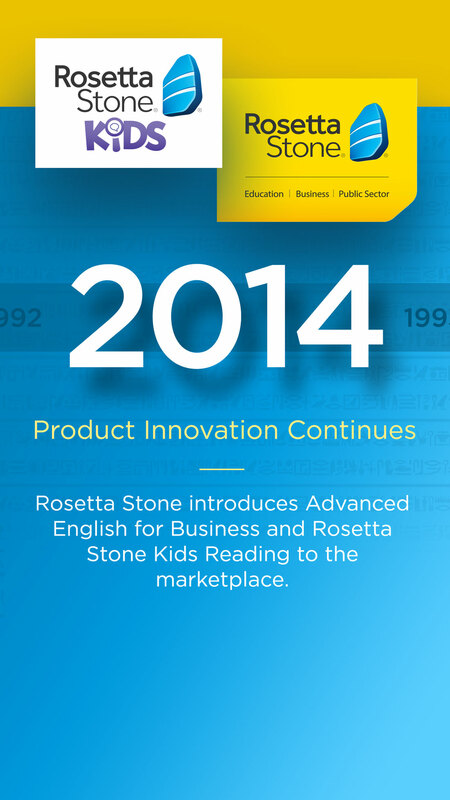 Rosetta Stone introduces Advanced English for Business and Rosetta Stone Kids Reading to the marketplace. 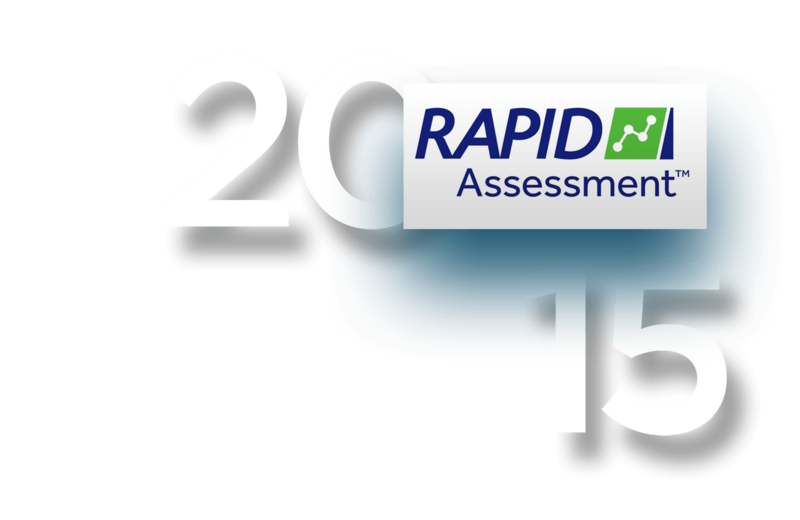 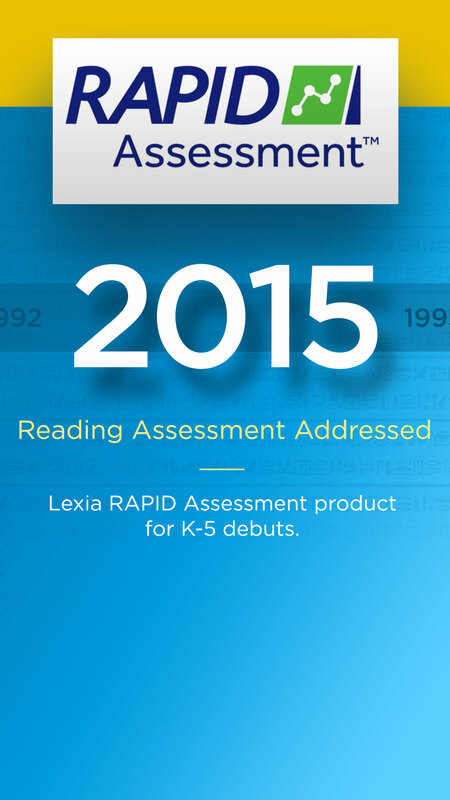 Lexia RAPID Assessment product for K-5 debuts. 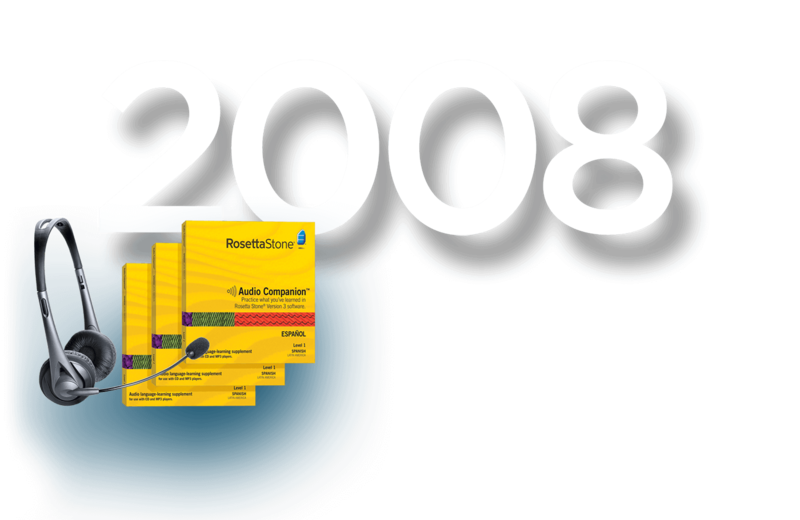 Advanced Spanish for Healthcare offering addresses changing needs of healthcare professionals. 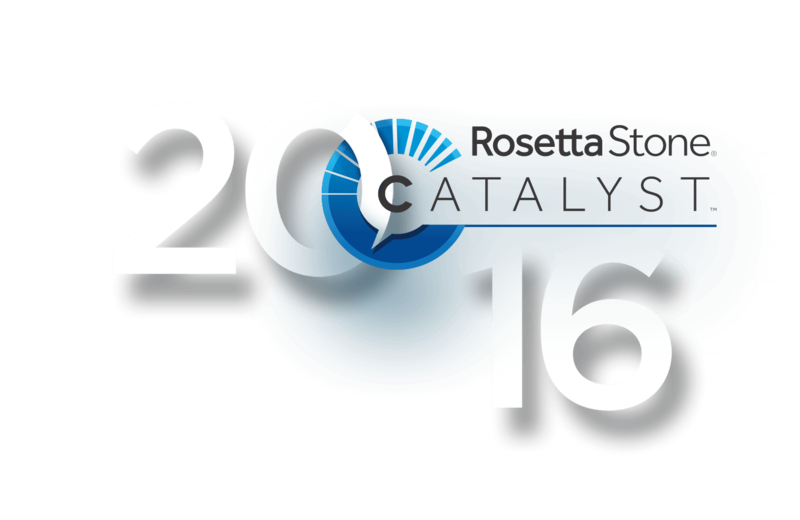 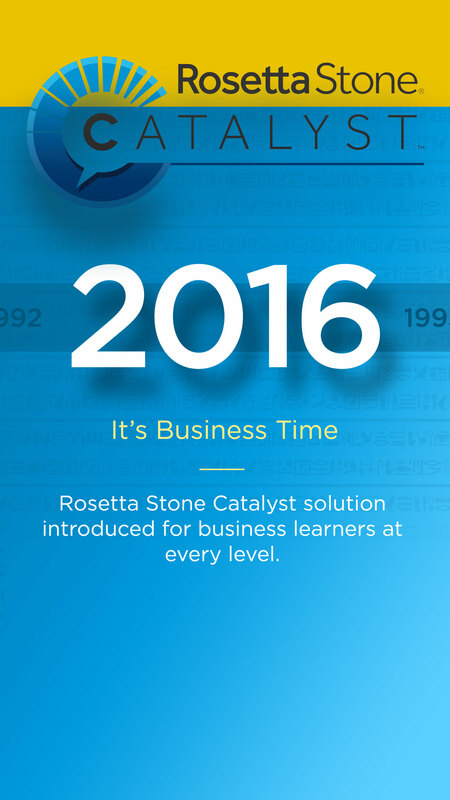 Rosetta Stone Catalyst solution introduced for business learners at every level. 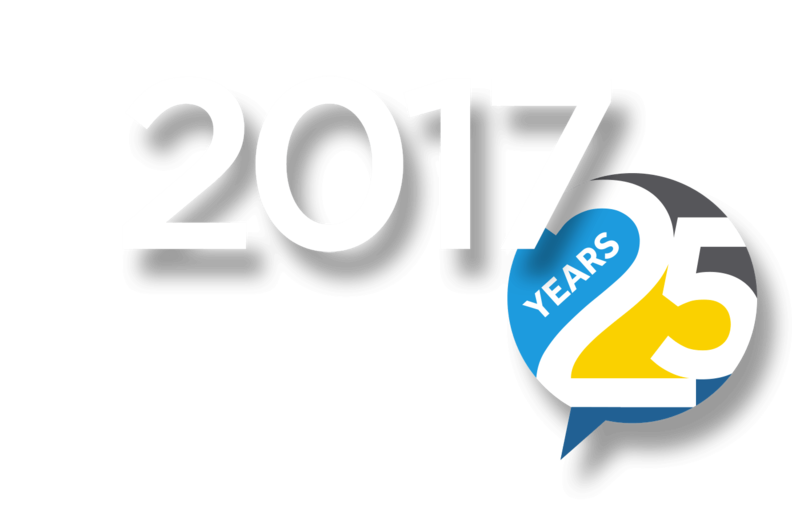 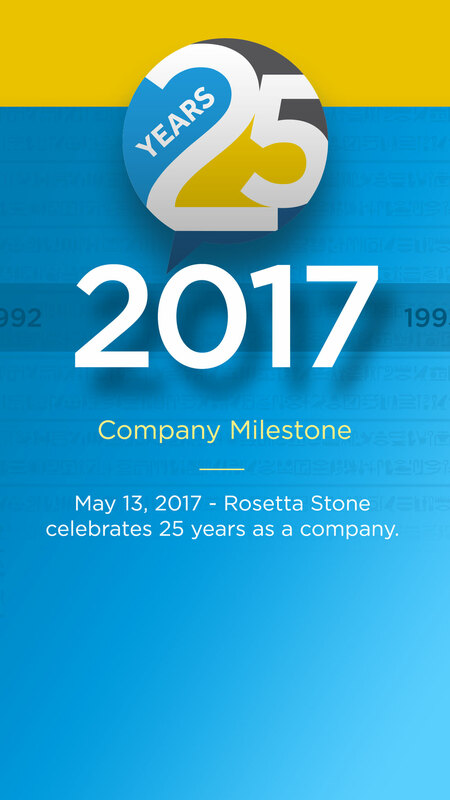 Rosetta Stone celebrates 25 years as a company.